Win great prizes and have some fun! 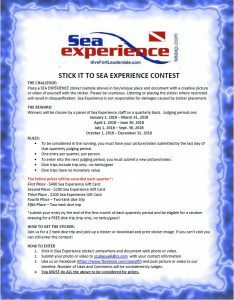 Join us throughout 2018 in the “Stick it to Sea Experience” contest! Come by the shop and get a sticker or print the one below.